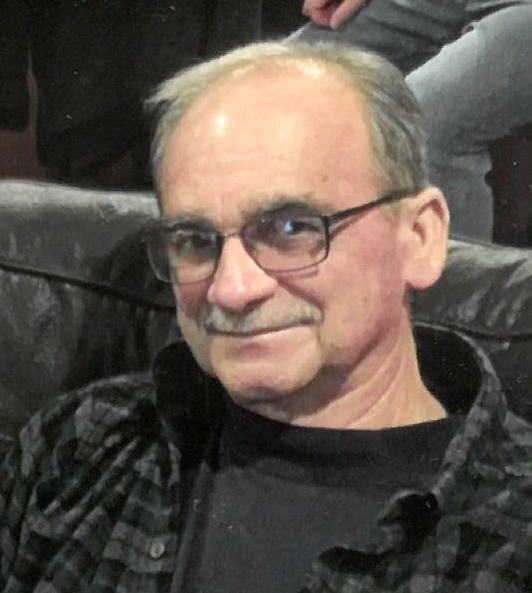 Brian L. Nicholas, age 68, passed away peacefully late Tuesday evening, April 9, 2019, at his home in Gladstone surrounded by his loving family. Brian was born April 12, 1950, in Escanaba, the son of Robert and Betty (Grenier) Nicholas. He was raised in Gladstone, graduating from Gladstone High School in 1968. After high school, Brian enrolled at Western Michigan University, where he graduated with majors in agriculture and biology. On July 1, 1972, Brian was united in marriage to his high school sweetheart, the love of his life, the former Caren Cannon, at All Saints Church in Gladstone. Together the couple made their home in Gladstone and raised their three children Matthew, Carrie, and Andrew. Through the years Brian enjoyed coaching and volunteering in the various activities of his children. Brian began his career at Farmers Home Administration before taking a position with Federal Land Bank in Escanaba, where he enjoyed working with area farmers. He then worked for North Country Bank — first in Manistique, then in Stephenson — before starting his own commercial property appraisal business, Peninsula Appraisal Services. Brian was a lifelong member of All Saints Church where he served as a Eucharistic Minister, an usher, and a member of the All Saints Building and Grounds Committee. He further donated his time by joining the Gladstone Jaycees, serving on the Gladstone Housing Commission, and volunteering with the Upper Peninsula Honor Flight. Brian enjoyed hunting and fishing in his spare time, and spending time with his children and grandchildren. He will be forever deeply missed. And beloved cousins, nieces, nephews, and friends. Brian was preceded in death by his father Robert and father- and mother-in-law Francis and Carmel Cannon. Brian’s family will receive friends on Tuesday, from 11:30AM to 2:30PM, at the Skradski Funeral Home in Gladstone. Mass of Christian Burial will follow visiting hours on Tuesday, at 3:00PM, at All Saints Church in Gladstone, with Rev. Fr. Jamie Ziminski officiating. Luncheon will follow in the All Saints Parish Hall. Memorial contributions in Brian’s name may be directed to the Delta County Cancer Alliance or the Gladstone Scholarship and Student Loan Foundation. Envelopes will be available at the Skradski Family Funeral Homes of Delta County. The Skradski Family Funeral Homes are assisting the Nicholas family with arrangements. Our Sympathy goes out to Caren and all There Family. Brian was a wonderful man and will be greatly missed. Thoughts and prayers to Andy, and his family. Your dad was a wonderful person, and treated us all so great growing up in the neighborhood. Lots of good memories of him, and a pretty cool vacation to Vegas with you guys I’ll never forget! Many prayers for you father and your family. Truly a great man who will be missed by many. So sorry to hear this. My sympathy to Caren & family. Caren; while Paula and I knew Brian was not doing well we were still shocked and were sad to hear of his passing. Words can’t express how sorry we are. You will be in our thoughts and prayers at this most difficult time. Hugs & prayers to Caren & all the family. Brian was a lucky man to have such loving family by his side. Caren, so sad to hear of Brian’s passing. After seeing you out a bit ago, I’d hoped for a better outcome. He was such a kind, considerate man and surely will be missed by all who knew him. My prayers are now for you and your family. In your grief, know God is walking with you through all of this. Like Brian you are loved and in His safe keeping. Caren & family, was so sorry to hear of Brian’s passing. Prayers to all during this most difficult time, may God’s presence bring you peace. Brian was such a kind, caring and genuinely GOOD man. His legacy will live on in his 3 great kids & grandkids. They say the good die young and this is so true. Know that you’re all in my prayers as the Good Lord receives the newest Angel. Brian had so much love and passion for life. We felt that every time we were around him. We loved him like he was a member of our own family and he treated us the same. All our love to your entire family. Very sorry to hear this. Our Thoughts and Prayers to Caren, Carrie, and the rest of the Nicholas Family. Our thoughts and prayers are with all of the family. So very sorry. God bless. Caron and family–Deepest condolences to you as you navigate this new path in life. I have many fond memories of Brian from our days of living on the bluff, right over his parents’ home. Peace to all of you. I’m so sorry to hear! Brian was always such an energetic and fun guy. He had such a kind spirit. May he Rest In Peace and may you all heal and find your own peace. Sorry to hear about Brian, He was truly a great person, such a positive outlook on life, he will be missed by everyone, thoughts and prayers for your family. Our deepest sympathy to the family of Brian. Praying that Caron and her family receive the strength from the Lord. Brian was a wonderful classmate and friend. There was nothing Brian wouldn’t do for his family and friends! He lived a wonderful Christian life. I am so sorry to hear of his passing but I know he is in Heaven free of pain. My love and peace to his family. So sorry to hear of Brian’s passing. Hold all those great memories close to your heart and let friends and family help you during this difficult time. Brian was such a great man! He will be missed by many. Our love goes out to Caren, Matt, Carrie, Andy and all of the Nicholas Family. Everyone I ever mentioned Brian’s name to who knew him, always, had good things to say about him. How Brian was a great father, patient, caring, helpful, funny, and they always say how great his kids are. I have the privilege to be friends with Matt since we were children and have gotten to know their whole family. To me the Nicholas Family have always personified what a family should be, how they should act and how people should treat each other. I know we were all better off having Brian in our lives and the experience of me knowing him personally will make my kids better people. I am very grateful to have known Brian and his wonderful family. Our deepest condolences on Brian’s passing. May God’s love surround you with peace. Brian will be missed. Sorry to hear of Brian’s passing. Brian was not only a kind person but a great boss. I am so sorry to hear this sad news. Please let all of the awesome memories of Brian help you all through this most difficult, trying time. ❤ I am unable to attend the services as I will be out of town, but please know you will all be in my thoughts and prayers. Sorry to hear of Brian’s passing. My thoughts and prays go out to Caren and family. I am heartbroken to hear of Brian’s passing. You all have a special place in my heart. Sending lots of prayers, hugs and love your way. Brian was always so much fun and very tolerant of hosting a house full of teenage figure skaters for many slumber parties!! I hope all your fabulous memories carry on in your hearts. blessed to know and love him. We are thinking of you and keeping you in our prayers. So sorry to hear about Brian’s passing. Thoughts and prayers go out to you and your family. I’m so sorry to hear this news. Brian was an incredibly awesome guy. He was always so pleasant and easy to talk to. He and Caren raised some of the nicest and likeable kids I have ever known in Matt, Carrie, and Andy. My thoughts and prayers go out to all of you. I enjoyed working with Brian for six years at North Country Bank. I’m so sorry to hear of Brian’s passing. I got to know Brian when we both worked at North Country Bank. Brian was a wonderful person with a great sense of humor and a truly caring personality. Know that I will keep Brian in my prayers. God Bless you all. Our prayers go out to you Caren and your family. Brian was a great guy and will be missed by all. You are in our thoughts at this most difficult time. Caren and family you have our sympathy. Loved Brian. Glad we got to see him when we were up North. Sorry we can’t make it for the funeral. Your in our prayers. So sorry to hear of Brian’s passing. Gods blessings to all of the family. I’m sorry to hear about your loss. My condolences to your family during this difficult time. Thinking of you, Matt, abd of your whole family. So sorry For your loss Caren and family. My prayers go out for you and may you be comforted by so many friends that loved Brian. Peace. So sorry for your loss.Thinking of your whole family. so sorry to hear of Brians passing. He was a good man. Brian was a great friend in high school. I remember going to Brian’s house in the Buckeye. I only visited with Brian one time after high school and I will always remember him as good and funny guy. My sympathies Caren, you are a wonderful woman and have a great husband in Brian. May the Lord’s face shine upon you and may you find comfort and grace from Him.